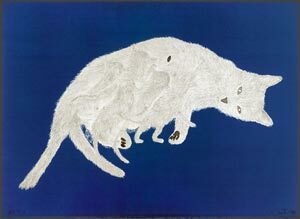 Always original in her mark making, Kiki Smith's prints reveal her unique sense of line and form. Her drawing is not at all tentative or unsure. Where it lacks academic style, it is still convincing in its reading. It is straightforward, unpretentious and, because of her choice of subjects, sometimes even startling. 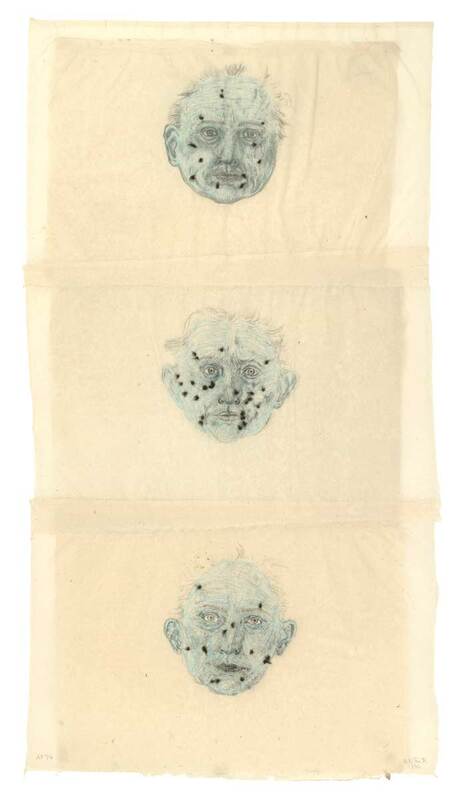 Kiki Smith has dedicated her career to an unflinching, tireless, and obsessively demanding investigation of a singular yet vast territory of human experience: the body. 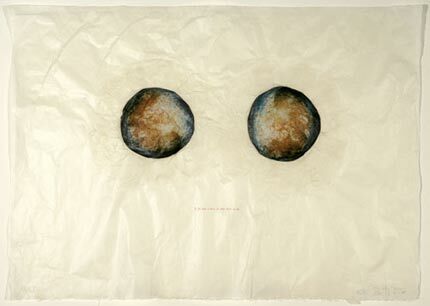 Smith utilizes the body as a repository and metaphor for the wide range of human thoughts, fantasies and emotions. Smith is concerned with the politicization of the body, exploring boundaries and dignities in relation to other modes of oppression and marginalization. Smith has always had a clinically cold fascination with the biological mechanics of the human anatomy, but at the core of her work is the feeling of looking here and there, experimenting, not to see what looks like great art, but to find what feels like real life. Her work offers a chance to feel something fragile and small, a little heartbreak, something that the artist has caught in her hands. She shows us things that she has found, things she carries with her—something within all women and all people. Opening a dialogue about the patterns that link us together, Smith has done a body of work that explores the experience of being a child. Smith is clearly a woman who remembers being a child, but this work is not some cliché of the child within. This body of work explores how cruel and fearsome the world can appear to a child. Her work is universal and tangible, and her mythology is real. Every girl—figure, every wolf, every reference to Dorothy or Alice in Wonderland, every deer or owl in the exhibit may, in part, be an aspect of the artists self-concept. It is a search for self, but the kind of search that strongly desires to take the viewer along.